Whole Wheat Cheese Enchiladas - mouthwatering! My MaMa likes spicey (my 2.5 year old pronunciation = "spikey") foods, so it was a no brainer that she'd try these Cheese Enchiladas when we saw them on Ma What's For Dinner?. Boy, were these ever good! My Dad kept saying "Mmmmmmm" all the way through dinner. Directions: In a large skillet heat butter over medium high heat and whisk in your flour to create a light golden roux. Add in your chicken stock, spices and S&P. Let this bubble a bit til it’s thickened up a bit and then add in your chili and half of the enchilada sauce. Let this simmer for 5 minutes or so and get your tortillas ready. Microwave each tortilla for about 20 seconds or so each to get them nice and soft. Pour a few ladles of your sauce into the bottom of a baking dish. Dip the tortilla in the sauce mix and then fill the tortillas with a combo of the cheddar and jack cheese, onions and chiles. Roll the tortilla up and place in the dish. Continue to fill the remaining tortillas until your dish is full. 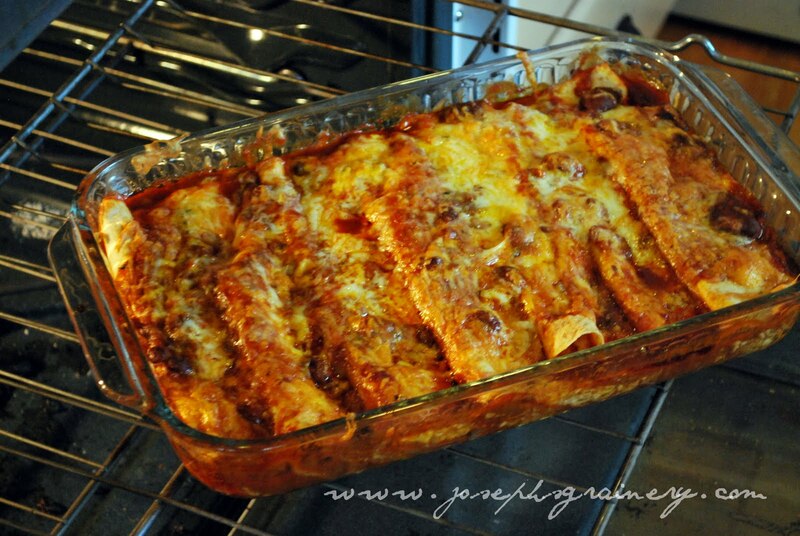 Ladle more of your chili sauce mixture over the top of your enchiladas then top with the remaining enchilada sauce. Sprinkle with more cheese and bake at 375 degrees for 30 to 40 minutes. Serve. Thanks again to Alex at Ma What's For Dinner? for sharing this recipe. 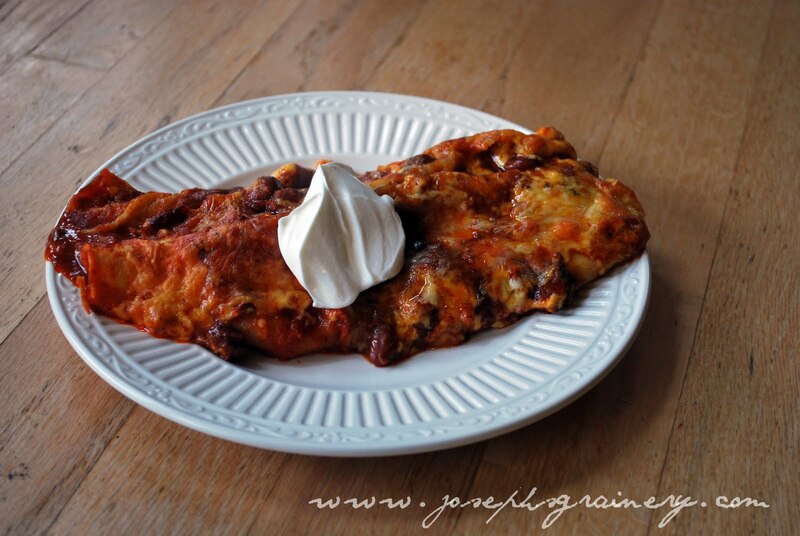 Stay Tuned for a gluten free version of these yummy cheese enchiladas coming in the next day or two!